Using America’s favorite pastime as an analogy, this collection of essays teaches children how to apply the lessons learned in baseball to everyday situations. This guide, filled with invaluable advice, enables adolescents to grow into adults while providing perspective on the sport and the complexities of life. This is the swashbuckling biography of the naval officer known as the Sword of England, the Welshman Henry Morgan. Over the years, Morgan came to be portrayed as a black-hearted, fierce pirate. This error in terms and in the assessment of Morgan’s character led to the filing of the first libel lawsuit, brought in protest to a book published in 1684 claiming he had been an indentured servant, was a pirate, and was responsible for atrocities. In fact, Morgan was commissioned to aid the British navy in fighting enemies of the crown and was a superb military tactician who led a dozen victorious campaigns against massive odds. Impetuous and strong-willed, a 15-year-old planter's daughter commits the unpardonable sin of the mid-19th century: desiring to marry a man beneath her family's social station. Hardcover. This alphabet book offers A is for the American Revolution, B is for the Battles of Lexington and Concord, and more. Each entry in this picture book for young readers includes one paragraph of relevant facts. This greatly moving poem about July 3, 1863—the first epic poem dedicated solely to Gettysburg—reveals the fear, innocence, bravery, and camaraderie of that fateful day by presenting poems written in the voices of various Confederate and Union participants. Halloween, the fastest-growing holiday in the United States, has its origins in the Celtic world. In Ireland, it has long been known as Snap Apple Night, and many of its traditions, like bobbing for apples, have been brought to America over time. Hardcover. Andersonville is remembered for several reasons, among them, the total of 12,912 Union prisoners and 250 Confederate guards who died there between February, 1864 and April, 1865. No other American POW camp received as much publicity as Andersonville, with the U.S. Department of War even circulating photographs of emaciated prisoners, which were reprinted in history texts. Groundhog Day is a holiday that is largely ignored in children’s books. 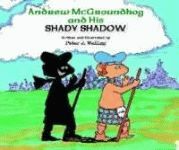 Children know all about Santa Claus and the Easter Bunny, but have they ever heard about Andrew McGroundhog? In his new book, Peter J. Welling shares a story about how Groundhog Day came into existence with the help of a little Scottish groundhog and his shady shadow. This book is a given for recreational and commercial fishermen as well as anyone who loves the outdoors! Since most anglers identify their fish by reviewing illustrations rather than using scientific keys, the authors have succeeded in making fishing easier by providing superb illustrations and detailed diagnostics for fish identification. 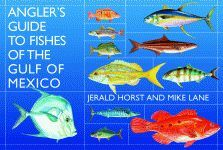 A valuable, one-stop reference tool for everyday anglers, fisheries experts, biologists, and outdoors writers, this guide includes intensively researched information on 207 species of saltwater fish, essential data on each species’ habitat, identification, typical size, and food value. One rainy day, Annie asks her grandmother about their family’s history. Grandma Marilyn, who knows just how to tell a story, takes Annie on a genealogical adventure. Fascinated by the stories of her relatives, Annie decides to bring them all together in one album of family history. With powerfully touching prose, this delightful story takes readers on a nostalgic journey that will leave them reminiscing about their own families. Cap’n McNasty and his crew of roguish rapscallions are back and badder than ever! When the Cap’n kidnapped a little elf from Santa, he didn’t count on the elf inciting a mutiny and high-seas hijinks by telling tales of the wonders of the North Pole. Cast adrift and faced with stormy seas, ravenous sharks, and a striking lass who just might capture his black heart, Cap’n McNasty faces the voyage of his life. In the 1800s, January 8th Day parades commemorating the Battle of New Orleans were big events in the city of New Orleans. One of the popular attractions in the parade was Jordan Noble, an African American drummer who played his drum in three American wars, including serving under Gen. Andrew Jackson during the Battle of New Orleans. “Old Jordan,” as he was affectionately known, tells his story to young readers in this rhyming picture storybook. In her signature self-deprecating and hilarious style, humor essayist Rose Madeline Mula gripes about growing old. Her inability to stick with New Year’s resolutions, the mystery of her clothes shrinking to a smaller size with each passing season, and her susceptibility to infomercials are just a few of the problems pestering Mula. In this collection of comical compositions, readers can skip around from one laugh-out-loud essay to the next while enjoying the author’s endless wit and charm. Bar Mitzvah (son of the commandment) and Bat Mitzvah (daughter of the commandment) mark the age when adult reason and responsibility begin. In this third book about her, Toby Belfer, a Jewish girl growing up in rural Louisiana, learns about the Bar Mitzvah ceremony through her older cousin Paul. Beginning with Toby’s invitation to Paul’s Bar Mitzvah and ending with the cutting of the challah and the traditional dance called the horah, the reader is led through the experience of this ancient ceremony. Big Chief of the Guardians of the Flame, philosopher, family man, and advocate for education, Donald Harrison took center stage in life. He demanded a well-deserved respect from his peers. An African American pushing through the Depression and the Civil Rights movement, he educated himself by reading scores of books while developing an acute understanding of philosophy and a love for jazz music. Out of a desire to give back to his community, Harrison and his wife, Herreast, founded the Guardians Institute, a cultural arts center for New Orleans youths.